The other days I’ve splashed the food, more precisely a bowl of pasta, in the microwave. Auch! A lot of mess was in there. All the pasta sauce was on the microwave’s walls and a headache suddenly installed! How will I clean all this mess? After a short search on the internet, I tried a supernatural combo to make that greasy mess disappear. And it worked! My microwave is shining without any grease trace and without using toxic grease removers! Put the lemon slices in the bowl with water, and squeeze the other lemon half over it. Now, put the bowl in the microwave, set it to high temperature, and let it run for 3 minutes. The steam will soften the grease stains on the microwave walls. Don’t throw the hot lemon water. 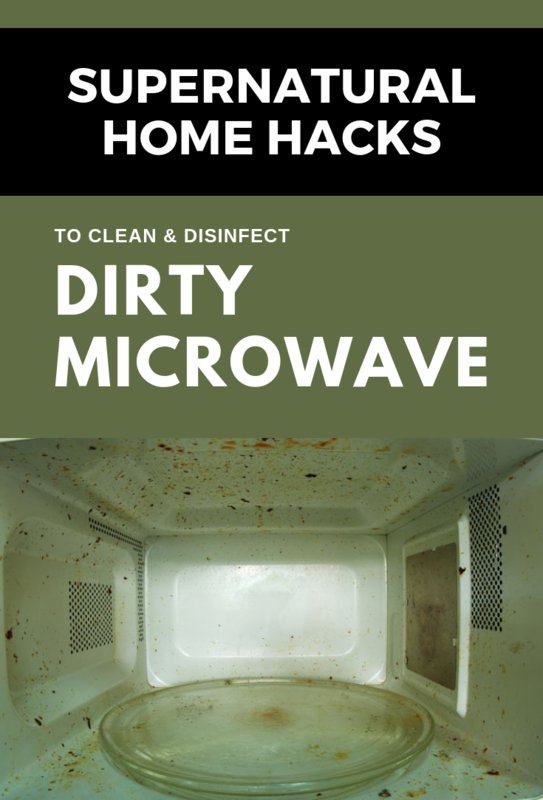 Take a sponge, soak it in the water, and start wiping the microwave’s walls to remove any grease stain left. You can add 2 drops of dish soap if you want. The above lemon secret works well if you clean the microwave immediately, but if there are any hardened food debris on the inside of the microwave, use baking soda. Dissolve the baking soda in lemon juice until you obtain a homogenous paste. Now, use a dish sponge and apply this paste over the hardened food debris and let it act for a few minutes. Now, apply the lemon water cleaning trick to soften well the grease stains. At the end, all stains will be easily removed, and your microwave will look impeccable.